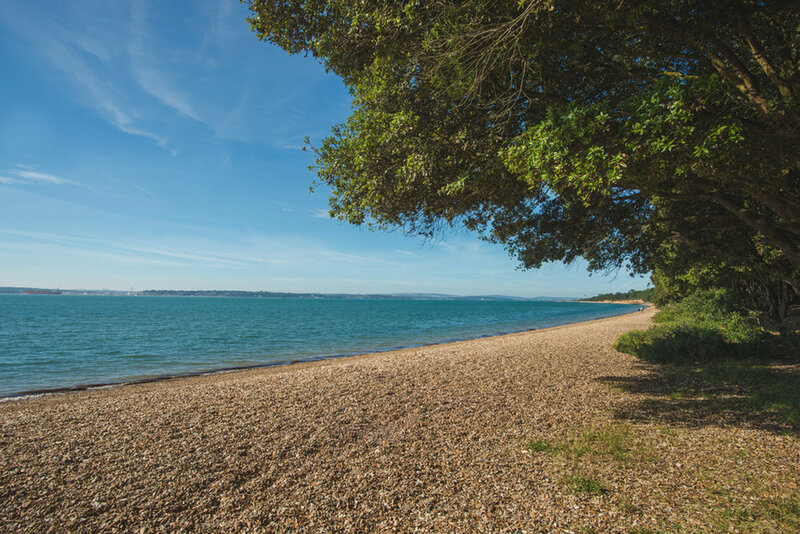 Cadland Estate is a rare and, until now, secret idyl, marrying the beautiful and wild New forest with the English Coast and The Solent. 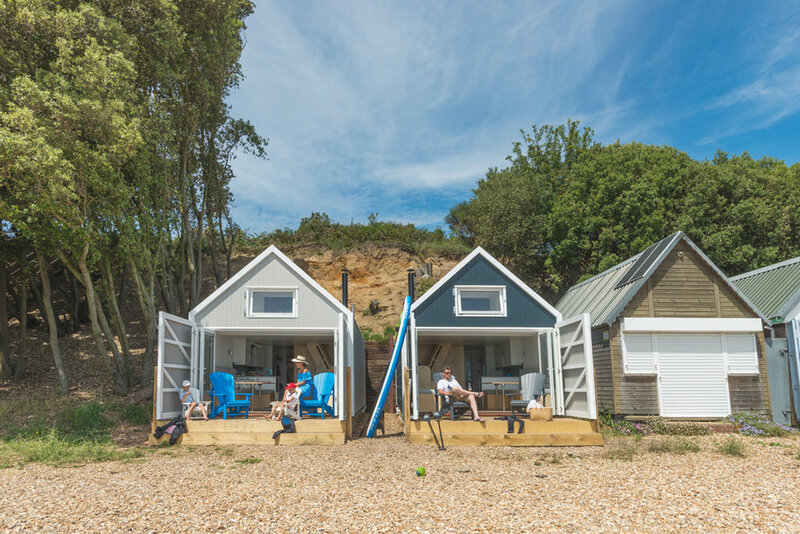 The properties are only 1.5 hours from London by car or train to Southampton, a charming English coastal spot, and enchanting playground for families or those looking for unpretentious and natural surroundings, or just some peace and quiet. 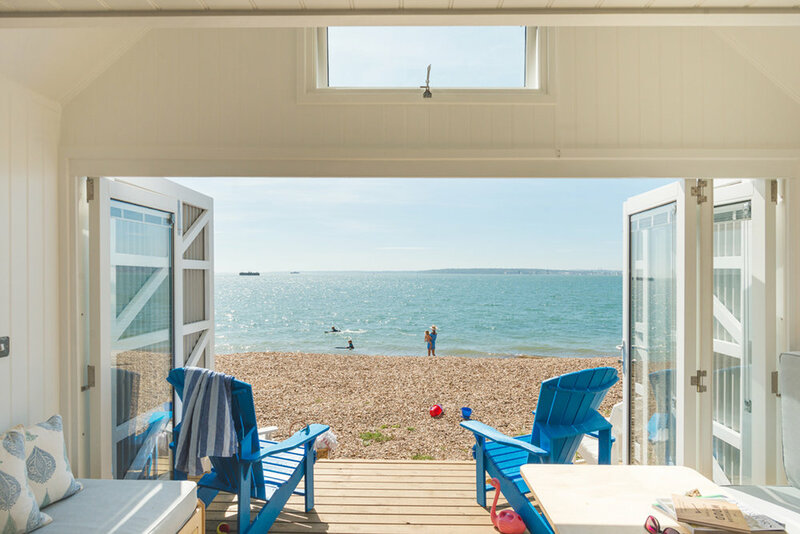 We have long been planning holiday rentals to open up our beloved landscape for others to enjoy as we do, and are delighted to introduce our luxury bespoke overnight beach huts on our beach at Calshot. 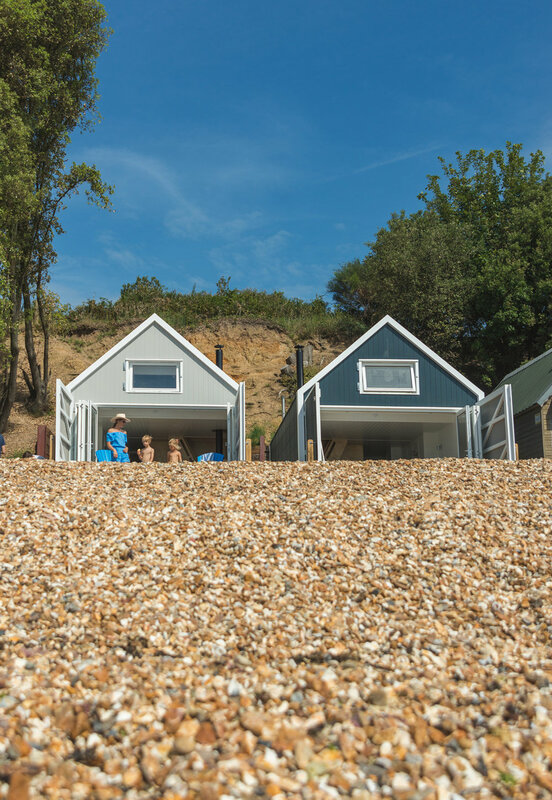 We have two beautiful hand made Overnight Beach Huts, named 'Gullwing' and 'Little Tern' which are roughly 7m x 3.5m, built from Structural Insulated Panels they are very nearly as well insulated as a modern ultra energy efficient house so they will be warm and cosy in the winter (with the log burner!) and cool in the summer. 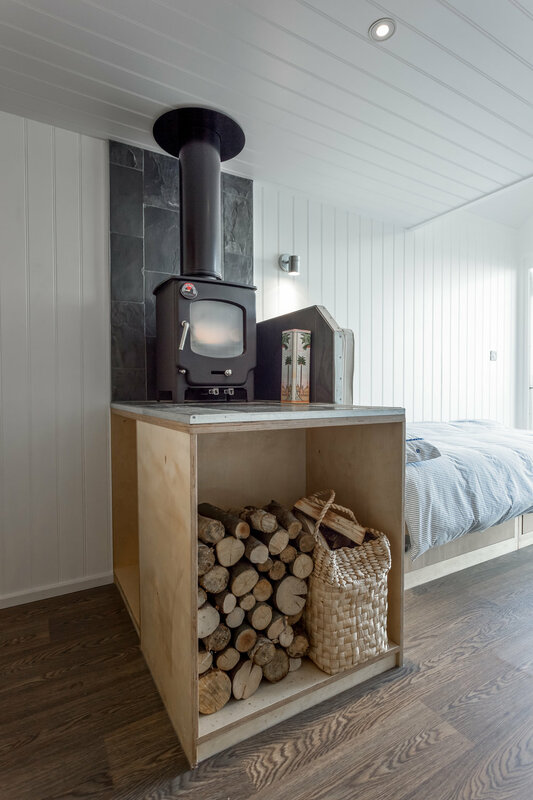 The furniture inside the huts is bespoke and made from birch ply which gives them a natural warmth and interesting architectural detailing with the banding of the edge grain laminations. 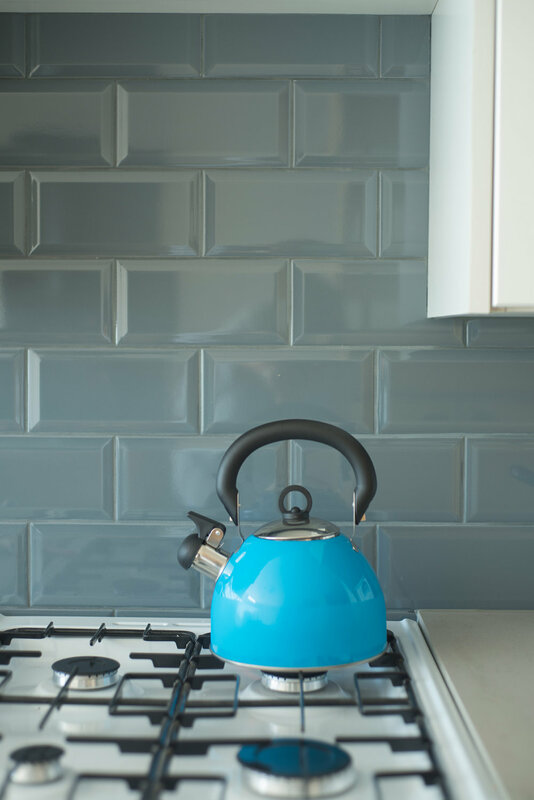 The kitchens are a modern take on the traditional shaker style with painted oak fascias, stainless steel fittings and a polished concrete worktop. 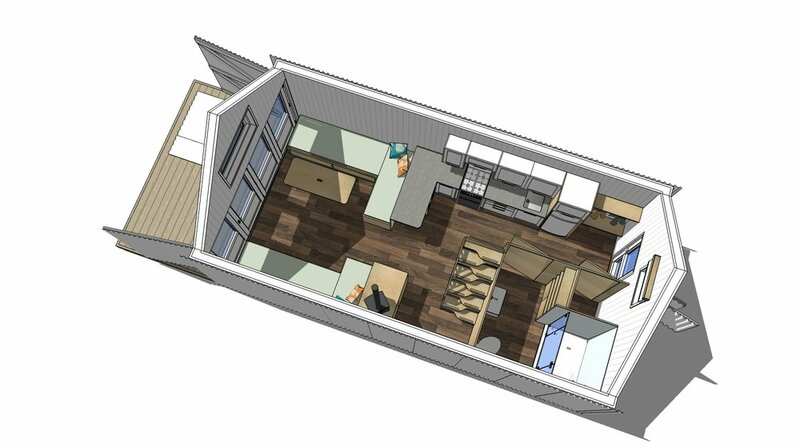 Gas oven and hob for cooking and a solar powered tall fridge freezer that can easily accommodate a weeks worth of food and drink. 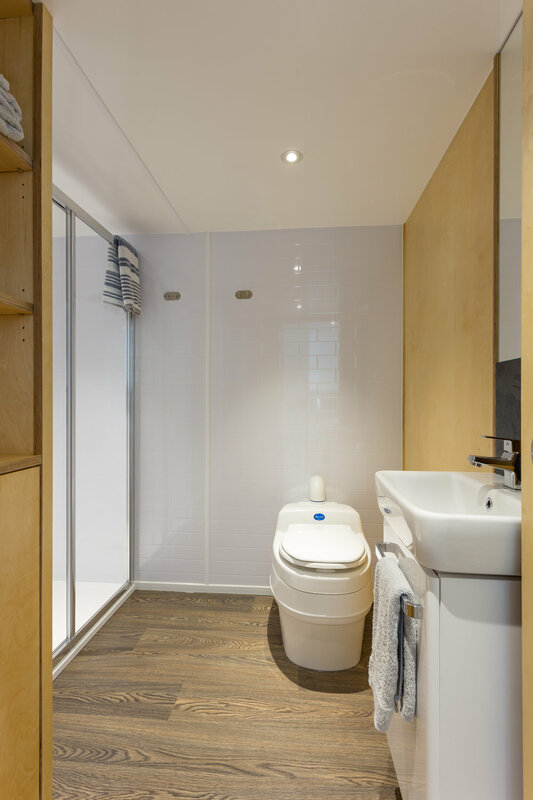 There is a spacious shower/wc room with a hot water shower and eco toilet. 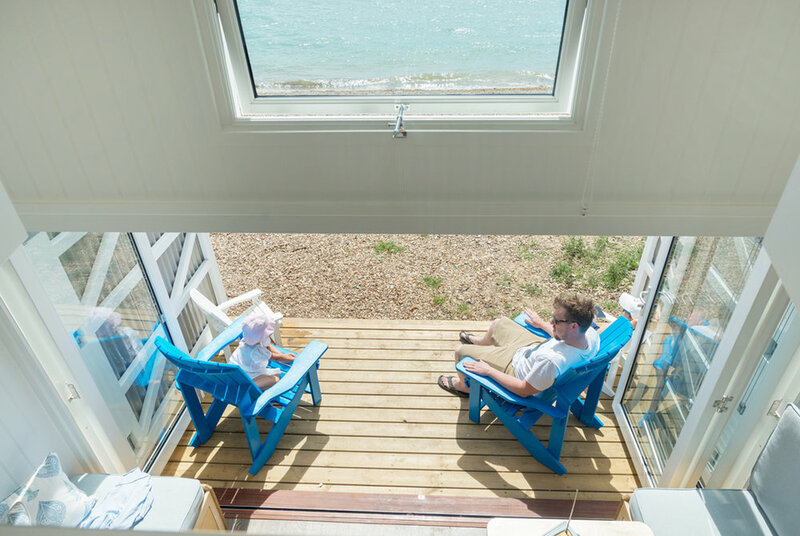 The upstairs mezzanine will sleep five people with one double bed looking straight out at the sea, and three singles behind with a baby gate securing the stairs. Downstairs there is an L-shaped sofa one side and a another sofa opposite. 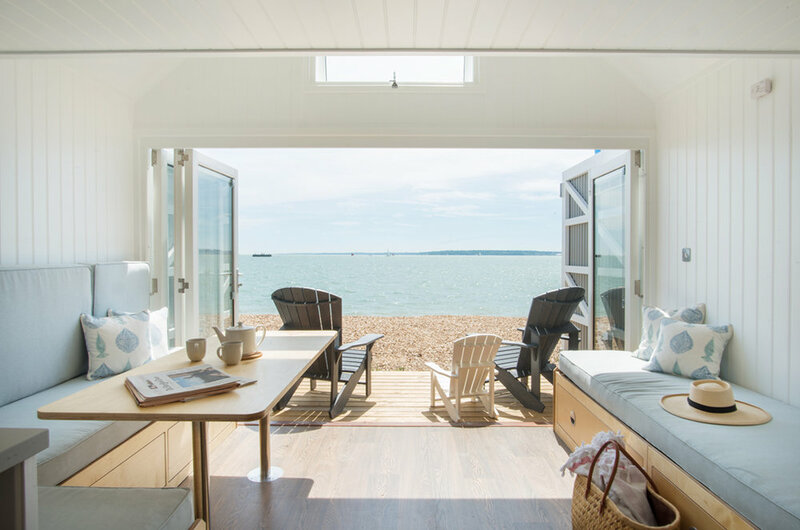 The front bifold doors are able to open fully to create an indoor-outdoor feel in the summer. Please note change over days are Mondays and Fridays only. 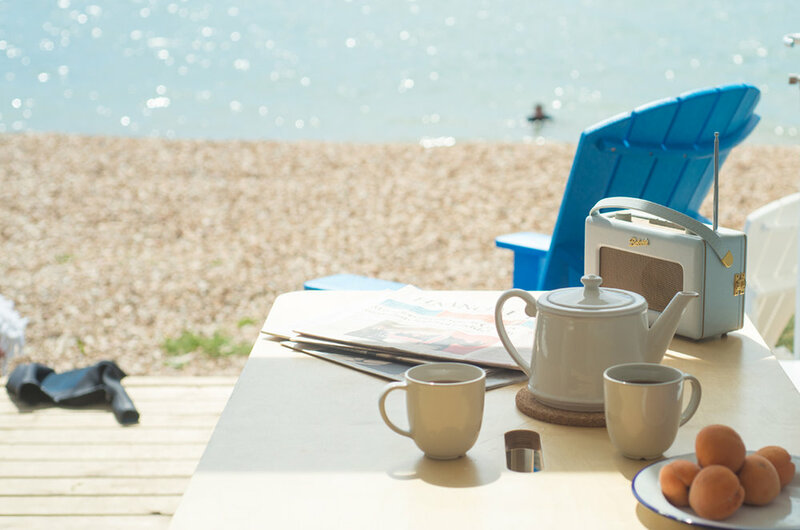 - Solar Power - enough to charge your phone and power the lights! - Fresh Linen for your arrival. Kayaks and other sporting equipment can be rented on the beach. 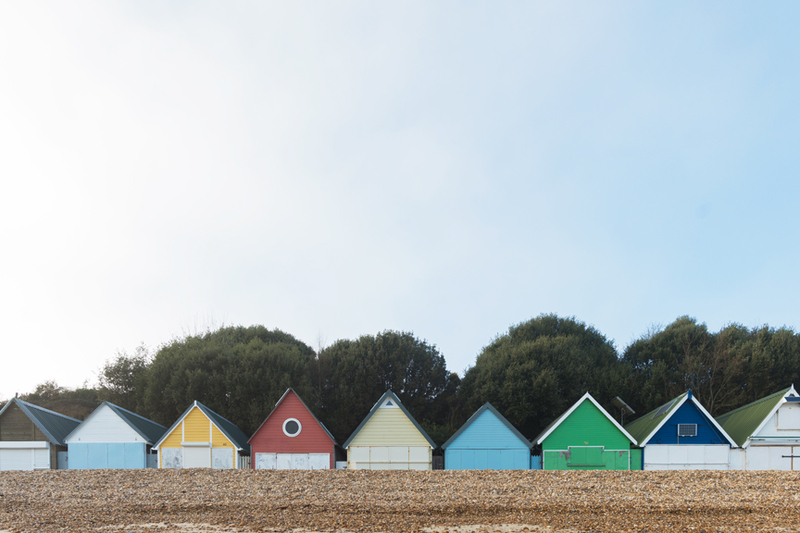 Click here for availability - blank days are available, days with an entry may have one hut free so hover over to see. Cadland Estate comprises of private and pristine New Forest land owned by The Drummond Family.